Mexicali is a big city with a friendly community feel. The state’s capital and its second most populous city, it sits directly on the California border with three points of entry. With 12 universities and 9 vocational schools the populace is well educated and skilled. 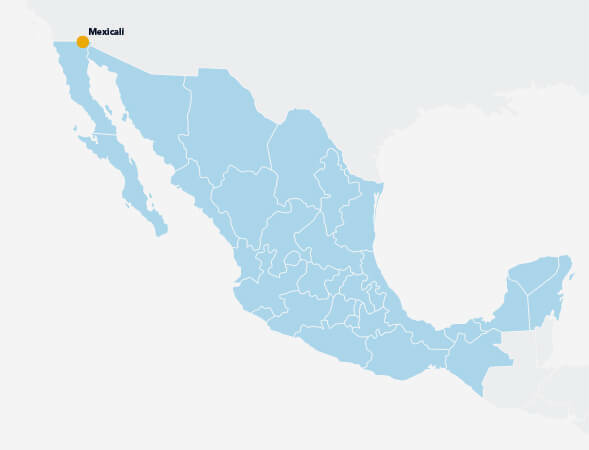 A fully modernized area, with abundant water and power supplies, Mexicali is home to major multi-national companies such as GKN Aerospace, Kenworth Paccar, Rockwell Collins, and UTC Aerospace Systems. Ensenada, Mexico – 170 mi. Long Beach, CA – 231 mi.